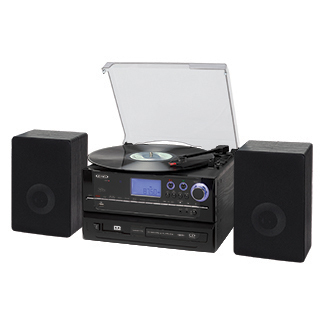 The JENSEN® JTA-990 stereo music system is all you need to stay entertained for hours in the comfort of your own home. 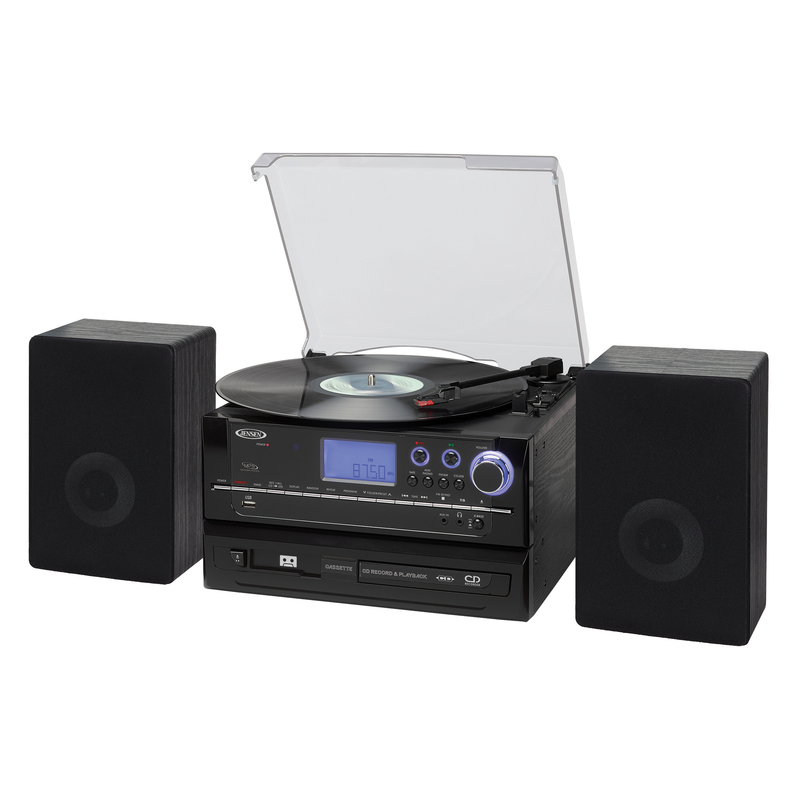 This feature packed music system includes a 3-speed (33/45/78 RPM) belt-driven turntable with pitch control, front-loading CD player/recorder, cassette player, USB Port for MP3 playback and digital AM/FM stereo radio with presets. 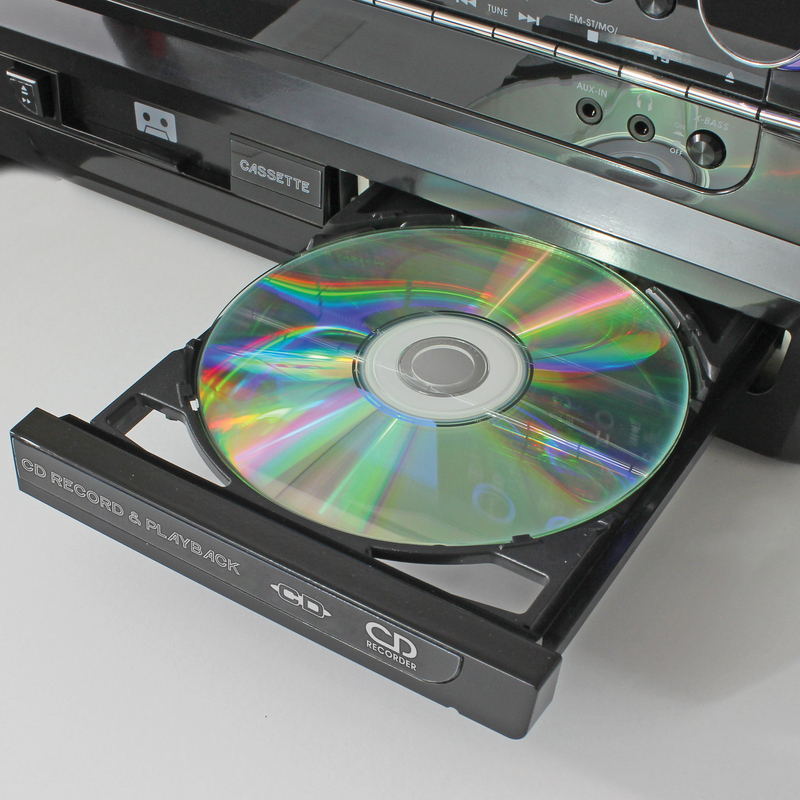 This versatile system comes with a CD player/recorder that not only allows you to play store bought CDs, but you can also record your own CDs directly from the turntable, cassette player, aux-in or from a CD using the included USB flash drive that functions as a second CD recorder. 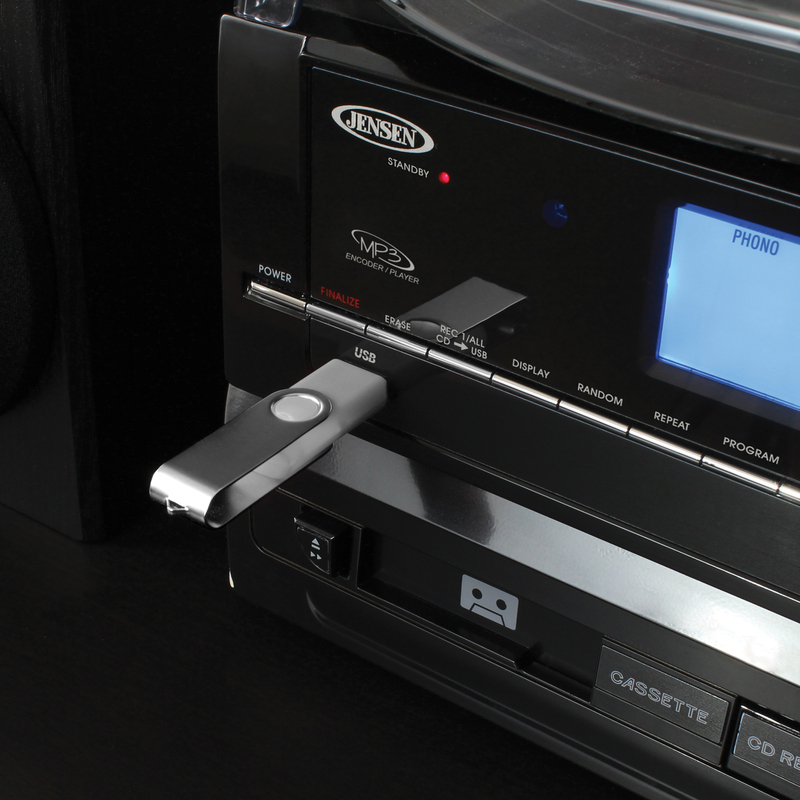 Use the built-in USB port to convert your records, CDs, cassettes or whatever you’re playing via the aux-in directly to MP3 format without a computer and save them on the included USB flash drive! The JTA-990 also features an aux-in jack, stereo headphone jack for private listening, a multi-function blue back-lit LCD display, RCA line-out jacks, bass boost and remote control. The unit operates on 120V AC power. 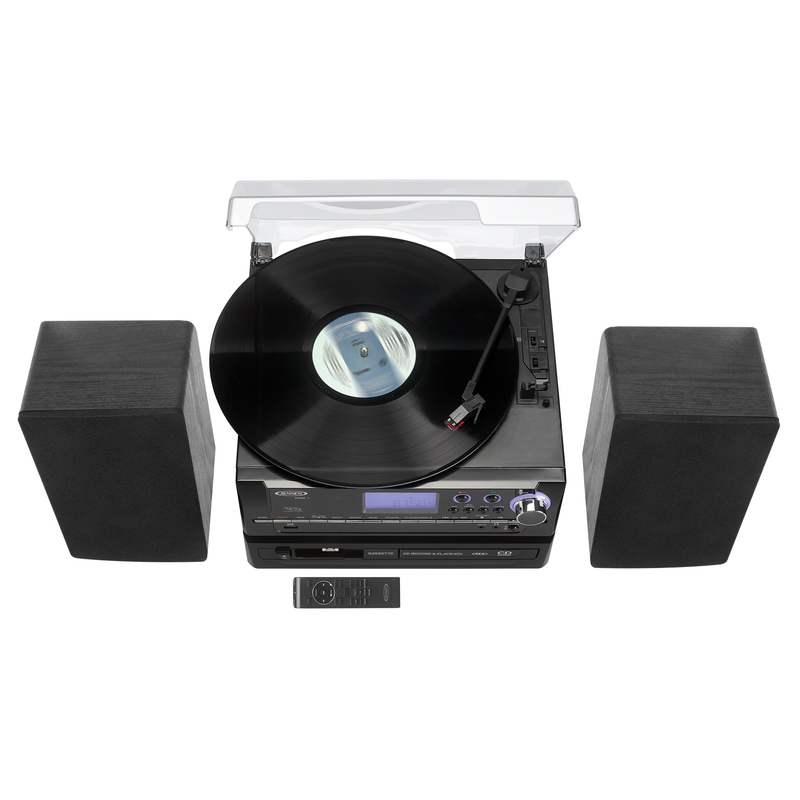 Dust off your vinyl records, unpack your old cassette tapes, record onto CDs, play your MP3 files or listen to the radio with this feature packed multi-functional music system.